Fig. 3. (A) Pre-deploying aortogram shows the left common carotid artery (black arrowhead) and aneurysmal dilatation on the dissected aorta including the left subclavian artery (black arrow). 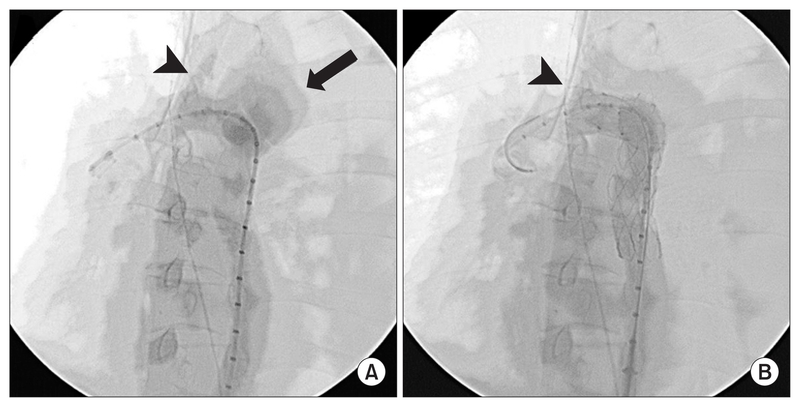 (B) Post-deploying aortogram reveals the stent graft is well positioned just after common carotid artery (black arrowhead) without flow impairment.